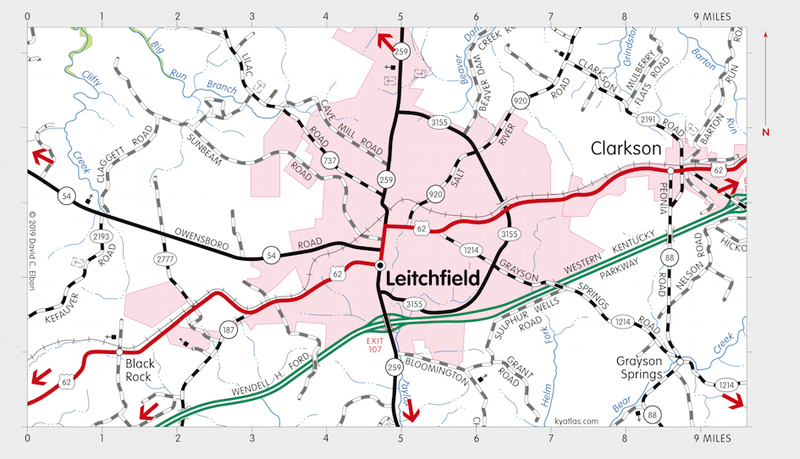 Leitchfield, the seat of Grayson county, is located near the center of the county on US 62 just north of the Western Kentucky Parkway. The town was established in 1810 on land donated by the widow of David Leitch and named for him. An earlier settlement in the area was known as Shaw's Station. Leitchfield was incorporated in 1866. The post office opened as Litchfield (which reflects the pronunciation) or Grayson Court House in 1813 and the spelling was changed to Leitchfield in 1877. The population in 2010 was 6,699. 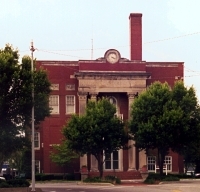 The old Grayson County Courthouse in Leitchfield, the fourth on the site, was built in 1938. The new Grayson County Judicial Center was completed in 2009 a few blocks away.